Wynonna Earp 2x04 "She Ain't Right" Season 2 Episode 4 Promo - It's Earp vs. Earp as Wynonna fights for her sister Waverly's soul. iZombie 3x13 "Looking for Mr. Goodbrain, Part 2" Season 3 Episode 13 Promo (Season Finale) - Liv (Rose McIver) uncovers a shocking truth with far-reaching consequences. A reeling Major (Robert Buckley) looks to the future, and Clive (Malcolm Goodwin) gets closure. Meanwhile, Blaine (David Anders) makes a business proposal. Rahul Kohli and Aly Michalka also star. The episode was written by Rob Thomas and directed by Dan Etheridge (#313). Original airdate 6/27/2017. The Night Shift 4x02 "Off The Rails" Season 4 Episode 2 Promo - After performing a daring on-site rescue to save a teenage girl, Drew (Brendan Fehr) is forced to re-evaluate his priorities as a new father. Back at the hospital, the ER is flooded with mass casualty victims from an amusement park disaster. Hoping to get Paul (Robert Bailey Jr.) back on staff, Jordan (Jill Flint) facilitates a rapprochement between Paul and his father (guest star James McDaniel). Meanwhile, Scott (Scott Wolf) pursues a more active role in the hospital. Kenny (JR Lemon) tries to put Cain (guest star Mark Consuelos) in his place, but Cain's deft handling of an emergency shows Kenny that he may have bit off more than he can chew. Tanaya Beatty also stars. Marvel's Inhumans, or simply Inhumans, is an upcoming American television series developed for ABC, based on the Marvel Comics race of the same name. It is set in the Marvel Cinematic Universe (MCU), sharing continuity with the films and other television series of the franchise. The series is produced by ABC Studios and Marvel Television, with IMAX Corporation as a financing partner and Scott Buck serving as showrunner. The series is centered around Black Bolt, with Anson Mount in the role, and other members of the Inhuman Royal Family. 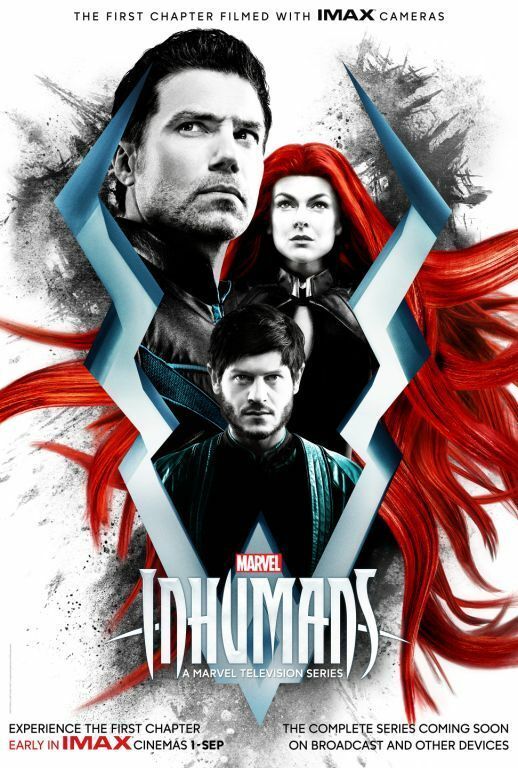 A film from Marvel Studios based on the Inhumans began development in 2011, before being announced in October 2014 for a November 2018 release as part of their Phase Three slate of films. The species was first introduced to the MCU in the second season of Marvel's Agents of S.H.I.E.L.D., and the film was subsequently removed from Marvel Studios' release schedule in April 2016. Inhumans was announced that November, to be partly filmed on IMAX digital cameras and to be the first live-action television series to debut on IMAX screens. 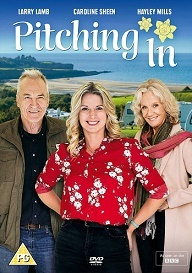 Buck joined the series the next month. 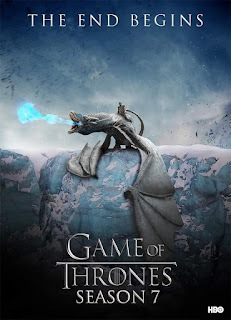 Mount was cast in February 2017, with Iwan Rheon, Serinda Swan, Eme Ikwuakor, Isabelle Cornish, Ken Leung, Ellen Woglom, Sonya Balmores, and Mike Moh also starring in the series. Filming took place from March to June 2017, at the former Naval Air Station Barbers Point airfield in Kalaeloa, Hawaii. Inhumans is set to debut on IMAX screens on September 1, 2017, and run for two weeks, before premiering on ABC on September 29, and airing eight episodes. Pretty Little Liars cast members Shay Mitchell, Janel Parrish, Sasha Pieterse, Lucy Hale, Ashley Benson, and Troian Bellisario share their favorite “A” texts from the entire series. Dark Matter 3x04 "All the Time in the World" Season 3 Episode 4 Promo - Unbeknownst to the rest of the crew THREE has been trapped in a time loop, reliving the same day over and over. He must convince his crew mates that what's happening to him is real and find a way to stop the loop. Meanwhile, a mysterious mercenary infiltrates the Raza and THREE must deal with Sarah's new reality. iZombie 3x12 "Looking for Mr. Goodbrain, Part 1" Season 3 Episode 12 Promo - When Liv (Rose McIver) consumes the brains of someone from Ravi's (Rahul Kohli) past, not only does it have her wanting to sleep with every guy in Seattle, she also begins having some very intimate visions of Ravi. Meanwhile, Major (Robert Buckley) is faced with a huge decision. Malcolm Goodwin, David Anders and Aly Michalka also star. The episode was written by Diane Ruggiero-Wright & John Enbom and directed by Michael Fields (#312). Original airdate 6/20/2017. Killjoys Season 3 premieres Friday June 30th on Syfy! The dream team is back when Suits Season 7 premieres July 12th on USA Network. Orphan Black 5x02 "Clutch of Greed" Season 5 Episode 2 Promo - Rachel issues an ultimatum to Sarah, and the outcome sparks a clash with Kira, who begins exploring her own maturity. Also: Felix reconnects with an old ally to help his family get Kira. A new species has risen... Is this the end of humanity? Brace for the final season of The Strain July 16th on FX. Stitchers 3x02 "For Love or Money" Season 3 Episode 2 Promo - The Stitchers team investigates the case of a young woman found dead in her wealthy boyfriend’s pool. Meanwhile, Linus feels a connection to Ivy, Cameron has growing concern for Kirsten’s emotional vulnerability and Camille is intrigued by an attractive medical examiner (guest star Anna Akana, “Miss 2059”) who likes to meet in unusual places. Prepare for immortal combat. The final battle begins when The Strain Season 4 premieres July 16th on FX. Dark Matter 3x03 "Welcome To The Revolution" Season 3 Episode 3 Promo - After receiving a distress call from a former associate, the crew of the Raza find themselves in the middle of a colony's fight for independence. New villains, new secrets, new night. Gotham Season 4 moves to Thursdays at 8pm this Fall on FOX - and a boy becomes a legend! Silicon Valley 4x08 "The Keenan Vortex" Season 4 Episode 8 Promo - Richard ponders a deal with the tech world's latest "it" boy; Jack faces setbacks. iZombie 3x10 "Return of the Dead Guy" Season 3 Episode 10 Sneak Peek #2 - Peyton (Aly Michalka) and Liv (Rose McIver) find themselves on a surprising wild goose chase. Ravi (Rahul Kohli) is terrified when the zombie truth hunters' plans are revealed. Elsewhere, Major (Robert Buckley) finds comfort in an unexpected - and perhaps unwelcome - friend. Malcolm Goodwin and David Anders also star. Written by Talia Gonzalez & Bisanne Masoud and directed by Viet Nguyen. Stitchers Season 3 premieres Monday June 5th on Freeform - catch up on the first and second season of the show in this quick recap. 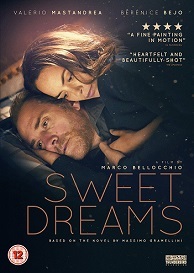 Sweet Dreams is out on DVD on 12th June and to celebrate we have a great competition for you and 3 copies of the DVD to give away. Turin, 1969. 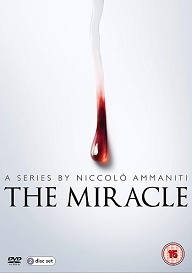 Nine-year-old Massimo’s idyllic childhood is shattered by the mysterious death of his mother. The young boy refuses to accept this brutal loss, even if the priest says she is now in Heaven. The beginning of the end is nigh! 12 Monkeys returns for the fourth and final season in 2018. The world is dying. They are its last hope. The final season of The Strain premieres Sunday, July 16th on FX. Demons hate her! Find out one gunslinger's secret to keeping demons at bay. Wynonna Earp returns June 9 at 10/9c on Syfy. BBC Drama "Taboo" is out now on DVD and Bluray and to celebrate we have a great competition for you and a copy of the DVD to give away. 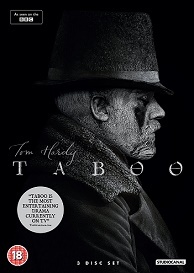 Taboo follows James Keziah Delaney (Tom Hardy), a man who has been to the ends of the earth and comes back irrevocably changed. 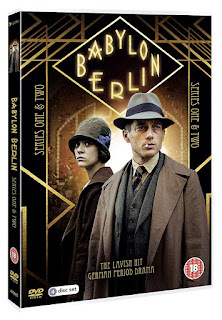 Believed to be long dead, he returns home to London from Africa to inherit what is left of his father’s shipping empire and rebuild a life for himself. But his father’s legacy is a poisoned chalice, and with enemies lurking in every dark corner, James must navigate increasingly complex territories to avoid his own death sentence.